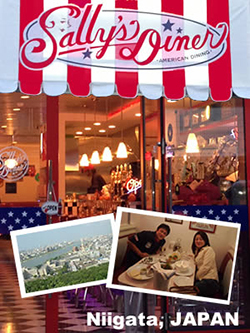 We Have Commercial Customers All Over The World In Their Quest To Establish The Perfect Diner, Club, Or Restaurant. We work in a variety of styles, including the ever popular Retro theme. This page is dedicated to our commercial customers, not only to show off our products, but to provide you with a link to our customer’s website or business information page. If you are one of our commercial customers and would like to take advantage of our offer to build a web page for you like those shown below, simply email photos of your room, restaurant, or trade show booth to the webmaster. Your information will be added to our Customer Page as soon as possible. If you have any questions, please contact us! All of our clients have a dream or vision and we feel it is our job to help make their dreams come true. Over the years we have garnered a great collection of customer supplied photos and are proud to be able to share them with you. See all of our happy customers below!